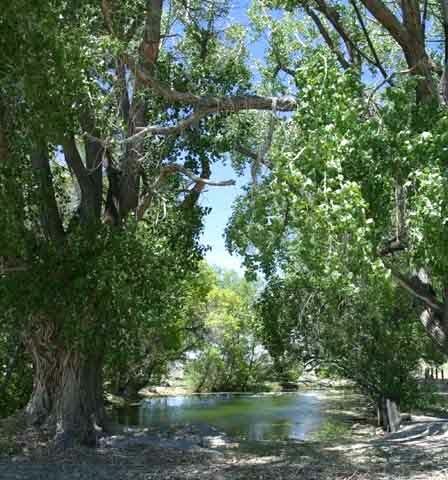 Description: This small pond surrounded by trees is a "warbler trap" in the west desert of Utah. Best birding would be in the spring and fall when migrants are likely to be attracted to the trees and water. There are no facilities so bring water, food and make sure you have plenty of gas in the tank. General Instructions: Turn south from UT 30 about 8 miles east of the Utah-Nevada border (Grouse Creek Junction). Go 5 miles on the gravel road until it crosses the railroad tracks. 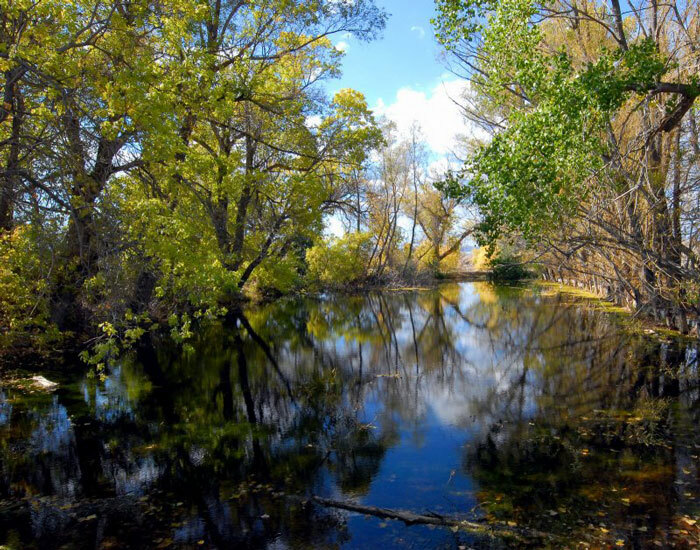 Turn left and go to the ponds surrounded by trees. Specialty Birds: Northern Mockingbird, Eastern Kingbird, Western Kingbird, Ash-throated Flycatcher, Lark Sparrow, Northern Flicker, American Redstart, Black-and-white Warbler, Northern Waterthrush, Golden-crowned Kinglet, Northern Saw-whet Owl and Scott's Oriole.